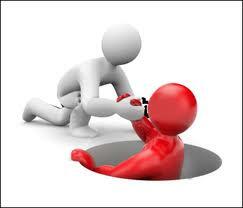 Cross-Cultural Mentoring; Reinforce or Realign? I recently spoke at a conference for mentoring organizations on the theme “Race, Class and Privilege; Will your Program Reinforce or Realign?” The groups represented at the conference are some of the region’s best. They do great work, in a variety of ways, of connecting youth with caring adults. While some also worked partnering younger and older students, the majority of these groups agreed that that “typical” mentoring arrangement is where the mentor is a 20 – 70 year old middle-upper class white person and the mentee’s are low-income youth; often of color. The organizations agreed that one of their greatest challenges was recruiting men, and specifically men of color. Most of them had some form of training and support for the cross-cultural partnerships they were setting up. The truth is, mentoring relationships that cross race, class and culture can be one of the most formative experiences the mentor and mentee will ever have. The relationship will either form new ideas about class, race, and power or reinforcing the pre-existing stereotypes they each had about the “other” from across those divides. We rarely question the motives that attract mentors. However organizations should beware that mentors may be motivated (usually sub-consciously) by a desire to colonize or patronize rather than an interest to partner and empower. What!? This is what I mean; colonizing mentors want to exploit the mentoring experience only for their own benefit (i.e. resume building) while also seeking to coerce the mentee to become more like them. Patronizing mentors view their mentee as inferior, needing to be taken care of, pitied and treated in a condescending manor. However both the mentee and the mentor benefit from a relationship in which they learn from each other; the mentee is empowered emotionally and relationally and the mentor has greater awareness and appreciation for the vast and diverse array of human experiences. Such healthy relationships will not happen accidentally, or without an awareness of the power dynamics the mentor and mentee bring to the relationship. This is why I started out the workshops swinging a baseball bat, tapping it on tables, using it as a pointer or a cane. After a few minutes I asked the workshop attendees their thoughts or comments on what we had been discussing. People began to comment that the bat made them a little uncomfortable. I assured them there was no reason to worry, in fact I really like my bat, I have lots of fond memories with it and it gives me a sense of security. However I knew that my comfort with the bat did not dissipate others discomfort, and how I was using it. Lower the Bat and stop swinging it. Only use the Bat if it is helpful to everyone in the room. Mentors must become aware of the bats they carry. 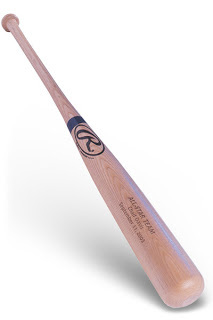 Being white, male and college educated; society gives me a BIG bat. I can use it recklessly to intimidate others and get my way, or I can lay it down so that others can find their own place in the room. So what can an organization (or an individual do) to assure that mentoring across the gaps of culture and class is formative, in the positive? Build Cultural Awareness into Mentor Training ; as you prepare yourself or your organization, realize that cultural awareness does not begin with learning a few generalized traits about black or brown ethnic groups. It begins with becoming aware of self in the context of our global society. Too many times we focus on “How are others different from me” (and an assumption that “me” is somehow the standard of normalcy). Instead train yourself to see your unique culture, your peculiar ethnic traditions, your strange communication habits which you absorbed from your parents. The ability to recognize and embrace the cultural uniqueness in yourself can, (if based in humility and non-judgementalism) open the door to recognize and embrace the cultural uniqueness of others. Be Aware of the Historical Forces that have shaped us as individuals and our society. History forms our cultural perspectives; An essential piece of who we are, individually and culturally, stems from the historical experiences of our parents, grandparents and those who came before them. As you understand how historical forces have shaped your perspectives and values, “sociological imagination” can then help you make the short trip to imagine how your life, had you been subjected to a different family history and cultural perspective. Within the context of a mentoring relationship this personal awareness, partnered with a sensitivity to the journey of others, can open a great doorway to increased appreciation for, and connection to, the diverse people in our communities. Speak into Race, Class and Cultural issues to gain and create awareness; many of us (white folks in particular) have been raised to believe we should ignore race and pretend ethnic differences do not exist. However ignoring the realities of our racialized society is a privilege people of color cannot enjoy. Although race in itself is not real biologically, it is a sociological reality that impacts us all. Because of the history of our country race is always on the stage of our day to day dramas; sometimes it is in the background, sometimes it is a minor prop, but anytime, in a moment’s notice, it can barge onto center stage and animate the central characters. For this reason it is essential for the mentor to be comfortable participating in conversations about the mentee’s experiences; conversations that begin by listening to explore and learn from the mentee. Eventually, after trust and respect are established, the mentor will be able to also share from their own perspectives. A mentor can err in either making race “the only issue” or by pretending it is “not an issue.” Either extreme minimizes the unique experience and voice of the mentee and are the result of a mentor who assumes they are the expert and that they should lead in an area they may have seldom wondered before. 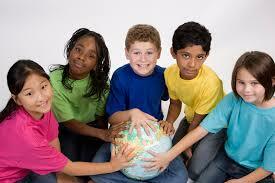 Create and seek out opportunities to explore and realign the attitudes and stereotypes about race, class and culture. Attend learning and social experiences that are diverse, where the racial and cultural issues may play various roles (as a minor prop or on center stage). Such shared experiences can give the mentor and mentee a natural and safe way to engage together in complex issues. Empower parents not replace them; mentors are often partnered with a mentee who is seeking (or needs) more positive adult influences in their life. Because of this, some mentors can believe “this kid really needs me because their parents are a mess.” When in reality the parents are often amazing people who see that they need help surrounding their child with good role models. A good mentor will realize their role is never to replace the parents, but to empower and support them. If the mentee has a physical need or desire and they have let you know that the parents can’t afford it (and you know you easily could), don’t just go out and purchase it for your mentee – meet with the parents to see if there is a way you could help them provide this to their child. If you are able, get to know the parents and create some transparency into your relationship with their child. Build trust and work on mutual goals rather than create barriers and a parallel life where you and the child exist apart from the parents. As opportunities arise talk with your mentee about the value and importance of parenting, use yourself, your children, or parents as an example. If appropriate, encourage your mentee to find ways to show appreciation and respect to their own parents. Good Intentions are not enough, if the result is parents who feel more isolated and alienated from their child. True, there are disengaged parents who have no real interest in deepening a relationship with their child, and much less with a mentor. But most parents really do want to do better, and a good mentor can help them see a pathway to a more confident and respect filled relationship with their child. Shifting Internal Culture; the organization will reflect what they value. I won’t discuss this much in this post but if a mentoring program values strong cross-cultural relationships it will be reflected in the values, mission and purpose of the organization, the hiring practices, as well as in mentor, recruitment, training and support. Mentoring across culture, race and class can be extremely beneficial for both the mentor and the mentee; realigning the stereotypical thought patterns with new appreciations and awareness. All it takes is some humility and a real desire to be present, not as a hero or the great white hope. But as a person who cares enough to come near, listen to what is really being said and respond with respect that empowers. This is a great piece. I am a mentor and on the board of directors for Mentor Me Petaluma here in Sonoma County California. I sill share this post at our next board meeting.